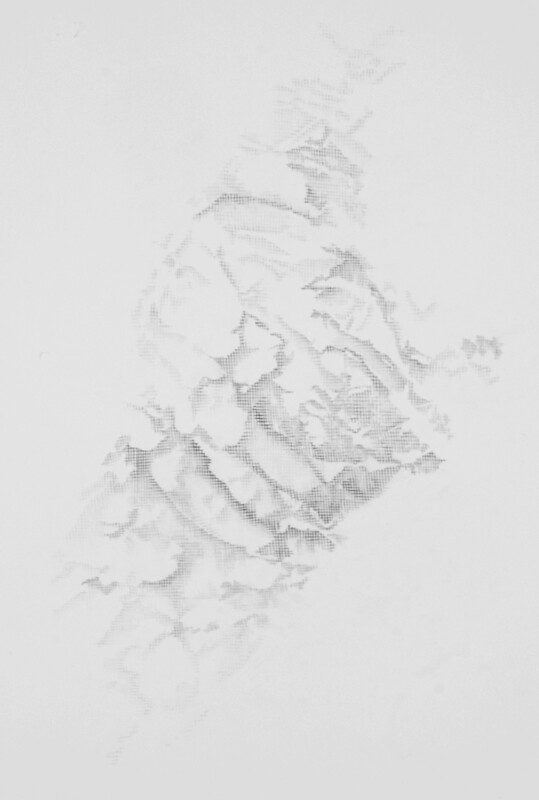 The drawing is based upon an imprint of the artist’s thumb: a mark of identification. It is the back of the thumb, a reversal of the impressions that we are familiar with. The image explores ideas about systems of measurement in relation to the human body. I have attempted to describe an organic form whilst limiting myself to the horizontal and vertical lines of graph paper; to fit the human body into an ‘alien’ system of measurement.